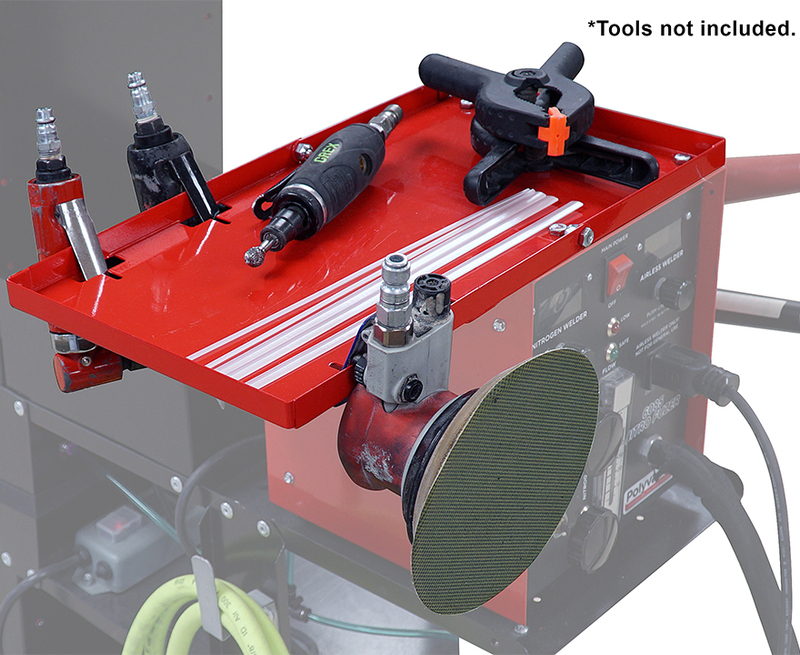 The 6074 Accessory Shelf is easily installed on any 6057 through 6085 Polyvance nitrogen plastic welder. Installation instructions and an installation video can be found on the product page. Combined with our welding rod organizer boxes, the 6074 Accessory Shelf can make your Polyvance welder more functional than ever. Polyvance’s nitrogen plastic welders and accessories make your plastic repairs faster, stronger and more profitable.